This 1960’s 33.5mm. IWC in solid 18k. gold is as clean as they come. The solid 18k. gold case sparkles and measures only 9mm. thin. 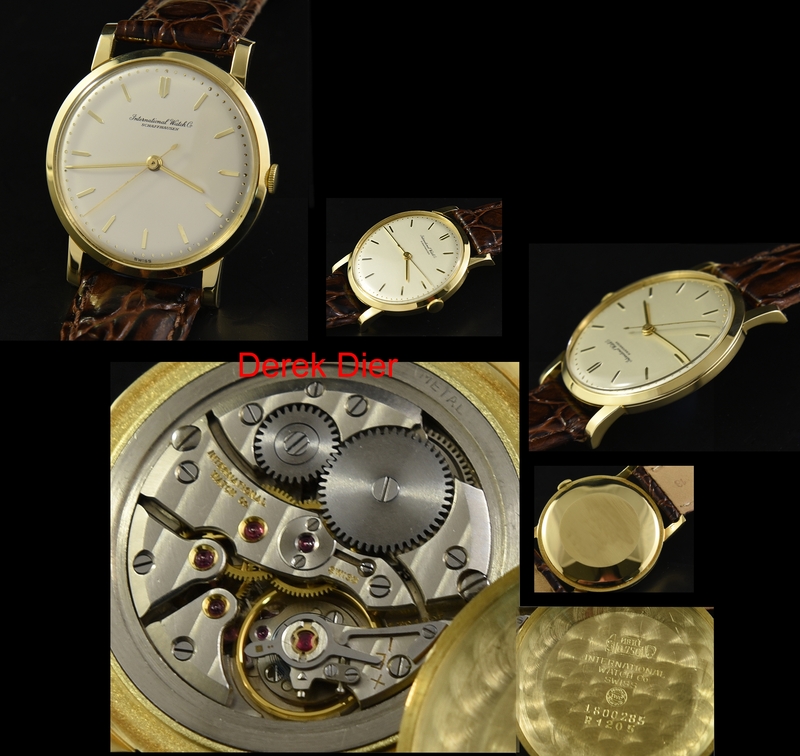 The dial is original and near pristine, having simple raised gold baton markers and needle hands. The caliber 401 manual winding IWC movement gleams and is accurate after a recent and meticulous cleaning. 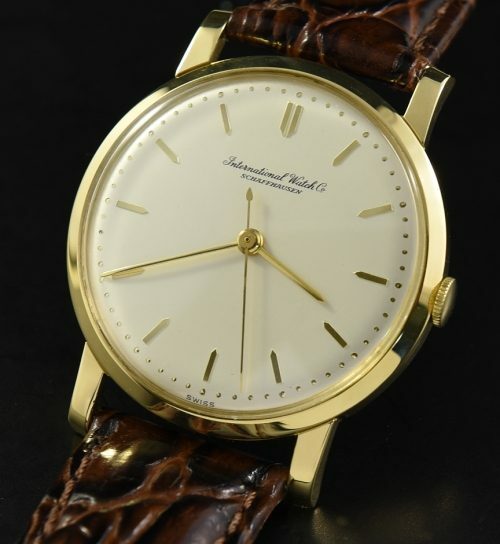 These are amongst the most classic and clean-lined vintage watches produced.